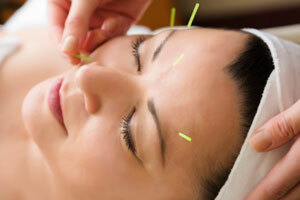 Acupuncture is the most commonly known treatment modality used in Chinese medicine. By piercing meridian points located at the surface of the body, the deeper circulatory channels and organs of the body are accessed, and the bodies natural healing resources are activated. Our licensed professional acupuncturists, LA.c. will customize your treatment so that you can achieve personal results. Leesburg Acupuncture is offered almost daily at Leesburg Spa. Traditional Chinese Acupuncture COMING SOON! 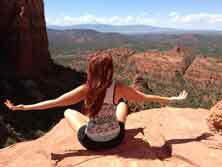 Experience the wonderful health and wellness benefits that acupuncture has to offer. Each treatment is customized to promote optimal balance and well-being for you! Gua sha is an ancient therapy that activates the lymphatic system, breaking down scar and fibrous tissue while relieving pain & soreness. The techniques involves a gentle scraping of the surface of the skin. Oil is placed on the skin, and then short brisk strokes are applied using a smooth rounded object. This painless scraping motion will cause a redness of the skin, called sha. The darker the sha, sometimes even purple, the more toxins and stagnation are being released. Patients will leave feeling an immediate sense of relief and increased relaxation. $20 add on to traditional Chinese acupuncture. In Cupping a partial vacuum is created by means of heat or suction, which stimulates the flow of fluid and blood in the body. Studies have shown that cupping can affect tissues as deep as four inches underneath the surface of the skin, causing toxins to release, lymph flow to increase, and increasing circulation at the cellular level. When there is a significant amount of reaction to the cups, they may leave red or even purplish rings where the cups were placed. The rings are evidence of the stagnant blood coming to the surface of the body. These marks usually go away in 4-6 days, and rarely last more than 10 days. $20 add on to traditional Chinese acupunture. By applying MicroCurrent and Colored Light Therapy to the PNE centers (chakras), you can restore healthy function to them. Well chosen complementary colors, Micro-Current and essential oils combine in this therapy and results include gaining the energy, clarity and open space in consciousness to make new life affirming choices. Through these new choices, you create long term healing. 30 minute / $59. 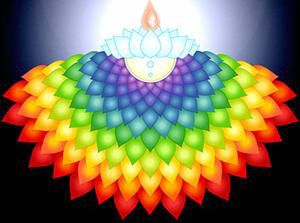 We use MicroCurrent and Colored Light in a 12 week Multi-Modal program that encompasses body, mind, spirit. Modalities include MicroCurrent Therapy, Body composition, Cleanse/Detoxification, pH Balanced Diet, Exercise, Stress Management, TLC Education and support. 90 minute / $119. We use MicroCurrent via electrodes, changing the frequency every 7 minutes. 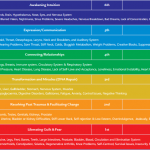 Each frequency affects a different chakra as well as different body organ, emotional process & more. Click on chart at left (from pinterest) to see specifics. 90 minute / $119.